You can't teach an old dog new tricks... but please try! My name is Arron, I'm 24, electronics engineer currently working for Rolls Royce. I was into cheap springer bb guns back when i was like 15 and i was in air cadets and army cadets for about 6 years and the military training has never really worn off as the friends i made during my cadet time have stuck with me ever since. Anyway, you could say im partial to rather a lot of adrenaline and I have plenty of military kit knocking about from my cadet years and previous airsoft interest so i'm looking to join a local team (shadow stalkers) which comprises a few of my old air cadet comrades who frequent the MAW site and some Skirmish sites. I have plenty of weapon and military knowledge but know nothing about the current airsoft scene other than what wikipedia can tell me as i haven't caught up with my old friends yet. I recognise a few brands like Tokyo Marui, Classic Army and KWC but thats about it. So I'm looking to get armed and get back into the military mindset ASAP. I know I have to have this new UKARA registration to buy anything serious, but thats not going to be a problem. What I'm really looking for is purchase advice on what brands to look for and what particular models are hot right now. Money hopefully shouldn't be an issue as I'm scrapping an old 4x4 offroader project and selling all the associated kit and hardware to fund this new interest, to the tune of about a grand hopefully. I am looking at a VFC SCAR-H in black, with 6 mid-cap mags, 2 of the best battery packs i can find, some sort of low magnification scope like an acog or pk-a, maybe an aimpoint, something between 2x and 4x, main concern is a wide field of view. Then probably a red dot holo on top. I already have a bipod, foregrip and tactical light ready to go straight on the ris rails (not to mention a contour gun-cam and gen 1 night vision scope and IR laser, all ris mounted). I want to know what upgrades i should be looking at doing to this weapon as i dont know anything about different types and makes of gearbox, springs, motors and valves and barrels and pistons so i need some help with that lot, though i understand this gun is very good out of the box, aiming for 350fps with accuracy being a of primary concern. for my secondary, i am more spoilt for choice - i know i want a gas blow-back pistol in a shoulder holster as i do alot of running and jumping over and sliding on things so a thigh holster is not my preference. I was thinking a gbb glock g18c from Tokyo Marui would be a good bet, with 2 or 3 mags, and converted to run on the cheapest gas available, which i believe is propane? Unless anyone has any other suggestions? keeping it straight and simple with the pistol really, just want something really high quality and reliable that i can trust to work and not break whenever i yank it out the holster. I considered a beretta 92f but i think they are a little too big and have too many obtrusions on them to be comfortable under my arm and easily pull out of the holster without getting caught, but thats just my opinion. So i guess my only real questions are where is it best to buy these from? I was thinking fire-support and JD airsoft, face to face not online. The thing i need the most info on is someone to fill me in on the most common upgrades done to a primary rifle so i know what to ask from my retailer. Thanks for reading this essay! You might be better off posting in 'Guns, Gear & Loadouts' with the questions you have as that is where they are most likely to get answered. Buying guns face to face is an excellent Idea,you can get a good feel for the gun and fire off a few shots before you guy it. Gun choice is excellent,but if you want a more advanced SCAR H check out the Tokyo Marui SCAR H EBBR,which also has the excellent hopup and accuraccy of Marui guns,along with a recoil system with working bolt catches and such but they fire at a low FPS,but outperform more powerful guns.My stock TM VSR Gspec is outranging heavily upgraded snipers all the time,and it fires only 280 FPS. Id reccomend using green gas or 134a gas for marui guns,those guns are not made to handle high FPS,due to Japenese law,but as I said,un upgraded Marui guns commonly outperform a lot upgraded guns. I'm not too experiencd on pistols,Ive had a KJW M9 since I began airsofting,but thats a budget Marui clone.id say go for a marui Sig P226 or an FN 5-7,those guns are very gas efficiant and have a great resistance to cooldown along with a really hard kick. Anyway,welcome to the forums and enjoy airsofting! Oh,be sure to check out EpicAirsoftHD p youtube,those guys make great reviews unlike other companies that just give good revoews to sh*t guns so they can sell them. Gen 1 night vision is more of a hindrance than a help and once you learn to adapt your eyes in the dark you'll be fine. Hell, my eyes have learnt to adapt to pitch black nuclear tunnels, just let your eyes do the work and you'll pick it up fast! Wow thanks for the replies guys! All taken on board. Didnt even know TM did a scar.... Any suggestions where i can get one new? 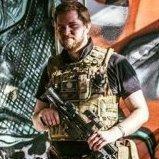 Landwarrior airsoft are also good,but they're in Scotland. You can get The TM SCARH Recoil in any airsoft shop really. Think i'll stick with the vfc scar after looking into it. Suggestions for common upgrades on the internals? The VFC Scar H has great external build quality,but some parts in the internals are pretty bad,especially the hop up. Get a new Hop up unit,along with a new spring guide,bushings and gears,since the ones used in the gun are pretty low quality. It already comes with a 6.05mm tightbore barrel stock,so unless you want to make it a DMR,keep it. the TM Scar doesn't have these problems,judging from people I know who own one and Internet reviews,but it's your choice really. those upgrades sound good to me! would anybody else care to expand on that? otherwise thats what im doing lol. Now, if only i knew what parts i actually needed to buy?....... Or shall i just give the shopping list to whichever shop i buy it from (probably JD)? thanks for all your help, i'm probably gonna get a 6.03 barrel and a better hop up fitted by the guys i buy it from, get it running on lipo as well. I tend to lean towards the dmr style of play(at least i do in every first person shooter game ive ever played lol), im not a sprayer, only shoot at what i can probably hit, prefer to have a weapon with better accuracy and range. I'm sticking a 4x spectre and mrds on this weapon, so should suit it perfectly. Thanks again!! scars are pretty heavy so you might want a bi-pod. I'm pretty surprised to hear that the VFC SCAR H is bad... Where are you getting your info WhiteDeath? VFC are a very good manufacturer with a good reputation, they're about a rung below Real Sword on the ladder of airsoft manufacturers, and Real Sword are very near the top. I've heard of odd things about VFC being bad, but usually it's to do with the gas rifles, nothing specific and certainly not the gears in their AEGs. I don't think they'd get away with their prices if the stuff they sold wasn't good. I'd pay money to see a highly upgraded sniper get out ranged by a stock TM VSR as well. Physics might bend on occasion, but you can't break it with BB guns. The VFC SCAR H will be fine right out of the box, my advise would be to not upgrade anything until you've used it a few times and know what you want to upgrade. If the accuracy is lacking, upgrade the barrel, if the range is lacking, upgrade the hop, if the rate of fire is lacking you can either upgrade the motor, the gears, or use a higher voltage battery. If you need any help with any of it, then you can ask in the relevant section of the forums, run a YouTube search for a video tutorial, or get someone at your site, or a shop to do the work for you. Or mix and match with parts to improve everything to make an über gun, it's all pretty simple once you read around a bit and get a feel for things, you can more or less get anything to shoot as well as you want within reason, it doesn't take long to get into the technical side of things. So long as you've got a basic understanding of mechanical stuffs and simple electronics you ought to be alright opening a gun up. Just search for guides on YouTube, always research everything you're thinking of doing before you do it and evaluate everything to the best of your ability. Then if you're unsure, you can always ask things you can't find out here on the forums, it's what they're here for.